Puerto Rico experienced the destruction of not one but two tropical storms so far this season. First, Tropical Storm Irma gave a glancing blow to the territory as it traveled north of the island, providing winds and flooding rain to the area. Then came the direct and far more devastating blow from Hurricane Maria, which crossed directly over the island with winds in excess of 150 mph, cutting power to 100% of the island and shredding trees and buildings as well as dropping as much as 38 inches of rain, which caused widespread flooding as well as threatened the structural integrity of several dams. The New York Times has a sobering article looking at the impacts of the storms on the agriculture of Puerto Rico. The winds were so strong that they not only ripped the leaves off the trees but also stripped the bark. 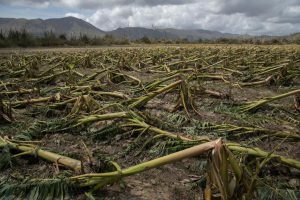 Early estimates are that 80% of the production in the territory was lost due to the storms, especially Maria, at a value of $780 million dollars. 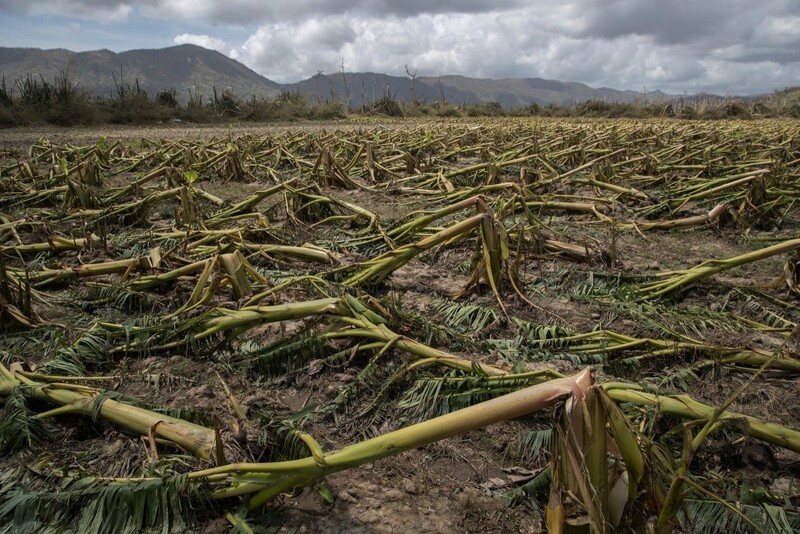 You can read about it at https://www.nytimes.com/2017/09/24/us/puerto-rico-hurricane-maria-agriculture-.html/. Posted in Climate and Ag in the news, Coastal, Crops, Fruit, Livestock, Tropical weather. Bookmark the permalink.